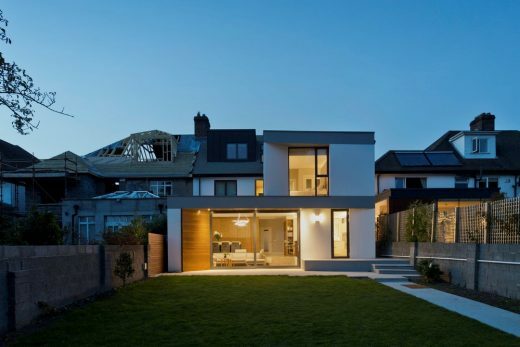 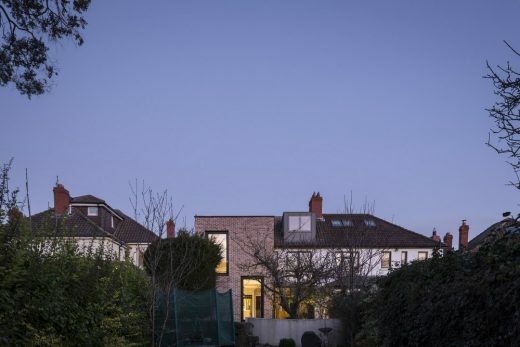 The brief was to insulate and refurbish the original house and enlarge and improve the rear extension to provide a family room and kitchen at ground and a new master bedroom at first floor. 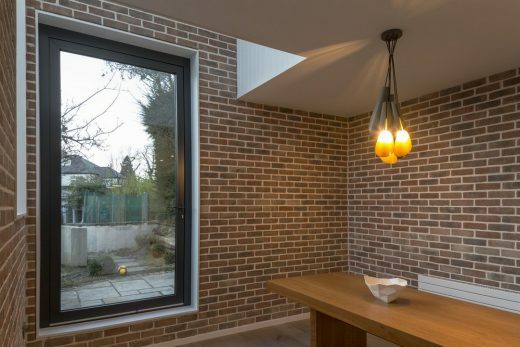 The new addition is a dense brick tower framed between two existing trees. 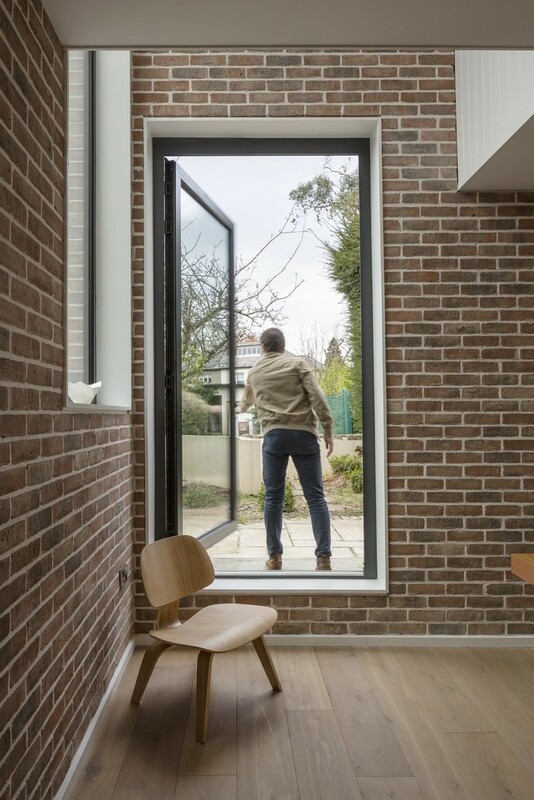 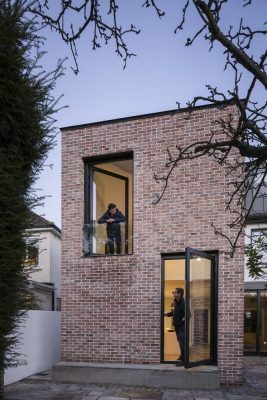 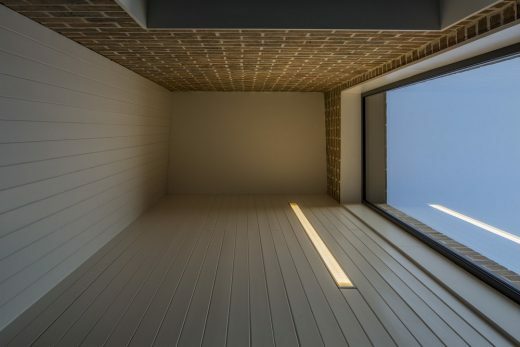 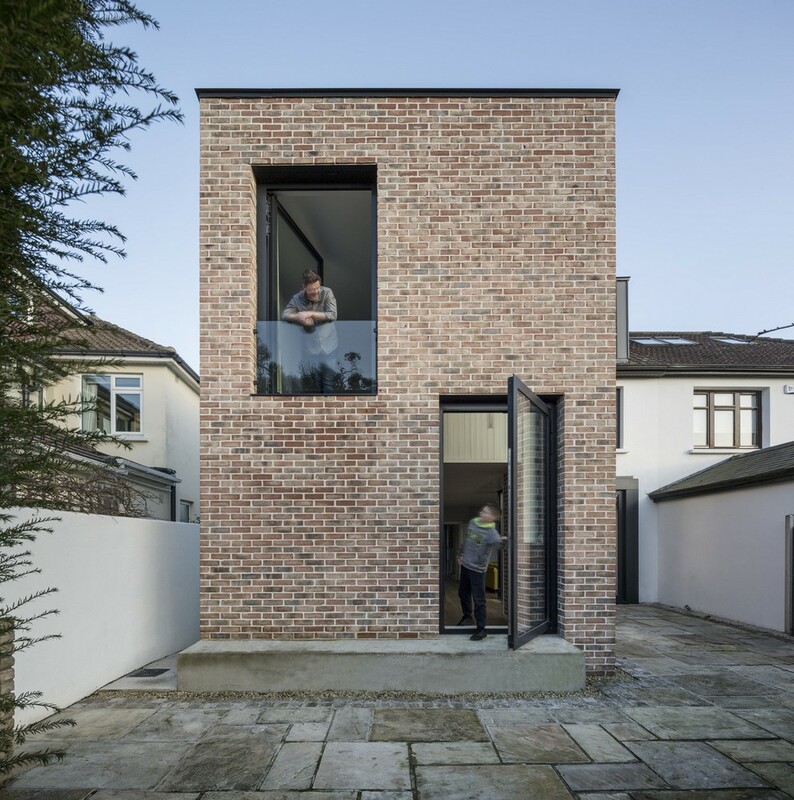 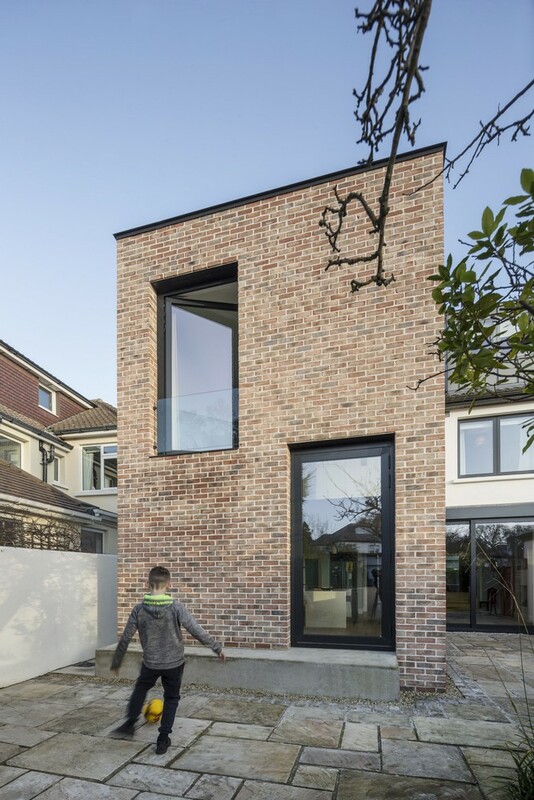 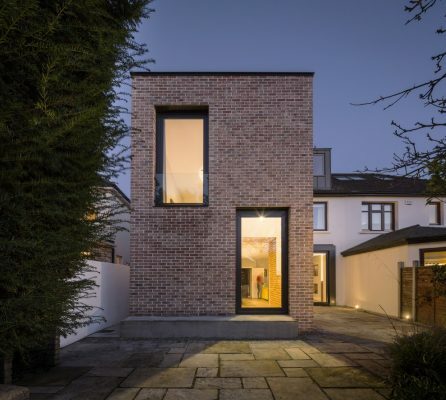 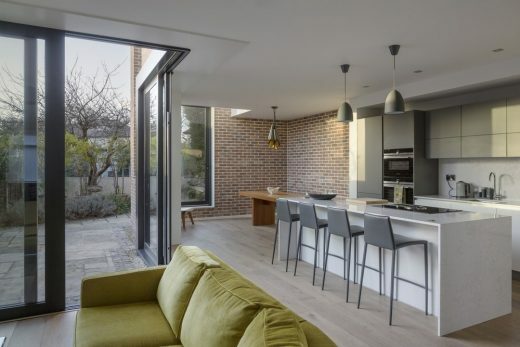 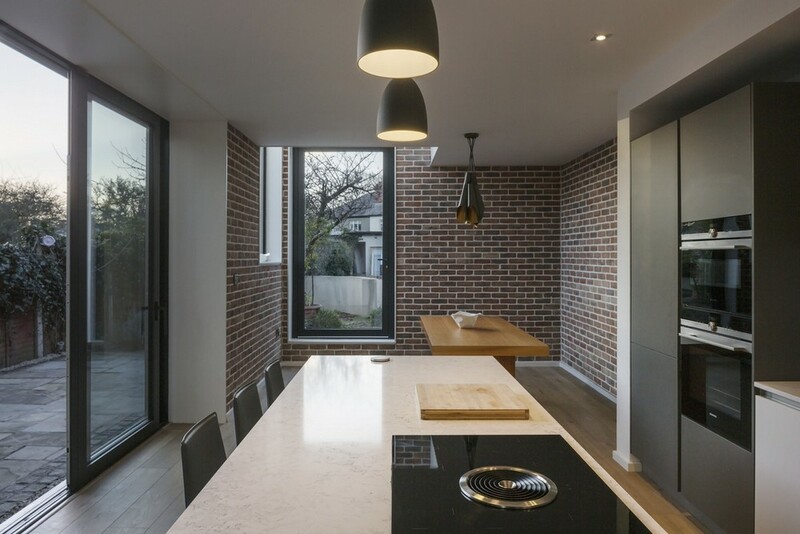 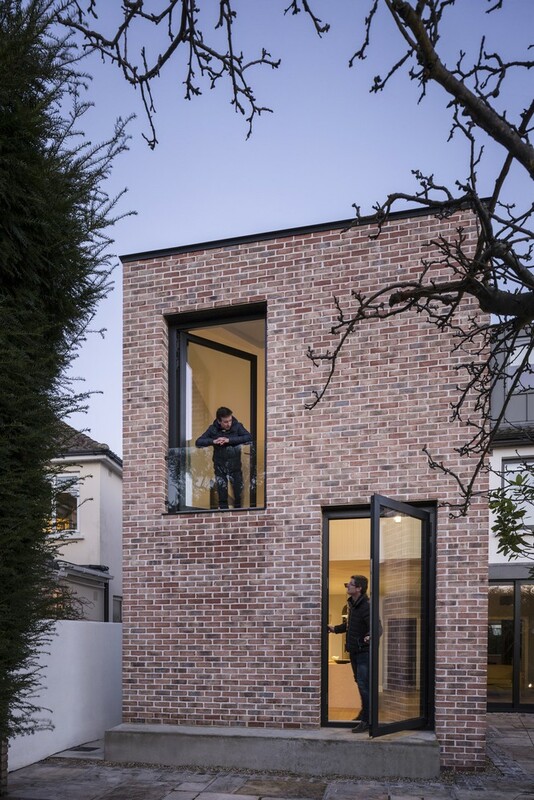 The brick, expressed externally and internally, is stitched together with the original house by a corner glass door addressing an existing patio space. 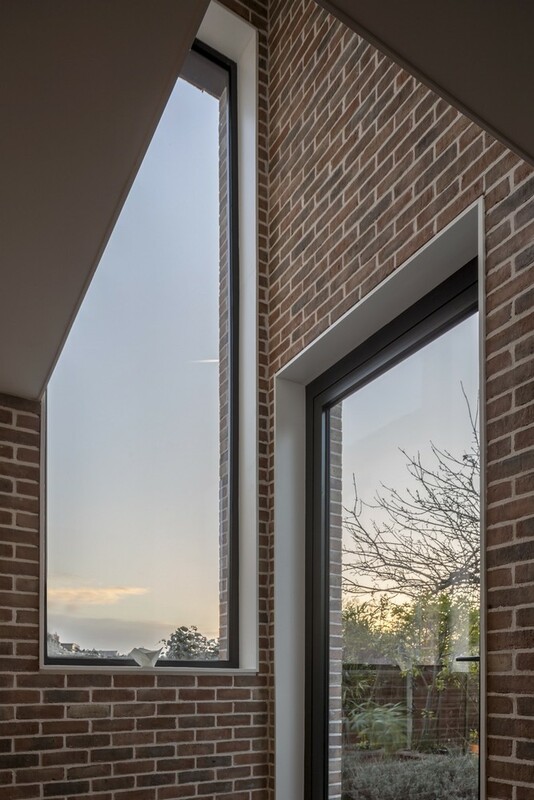 The brick walls have a tapering section to support the structure of the new master bedroom which contrasts in function, texture and lighting to that of the living space. 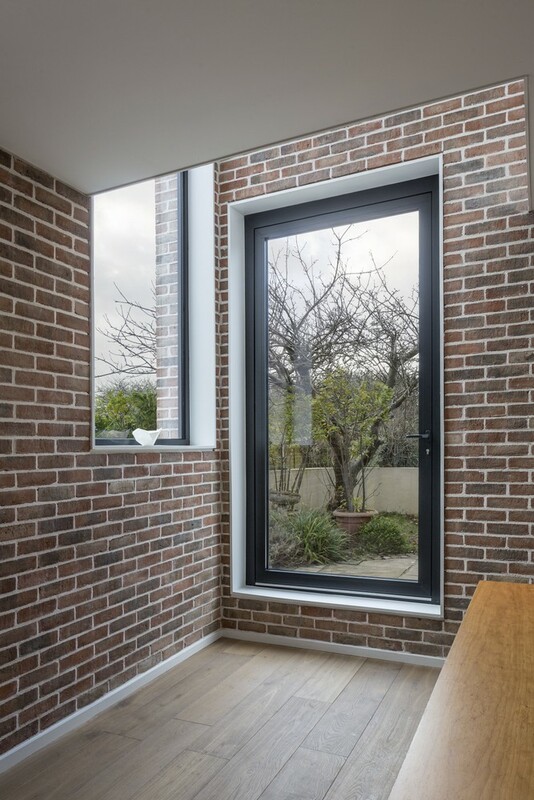 The brick echoes that of the existing front façade of the house. 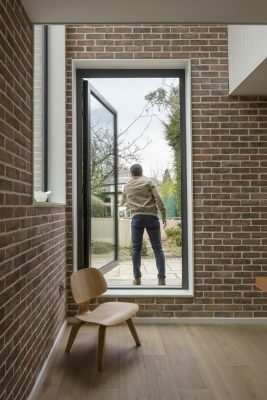 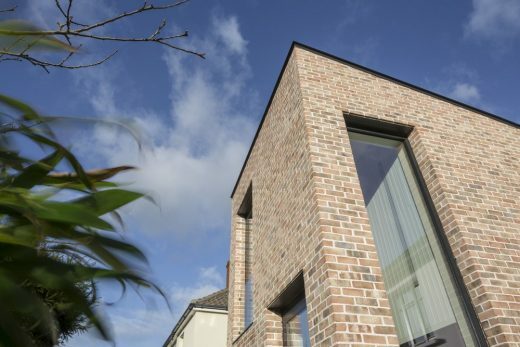 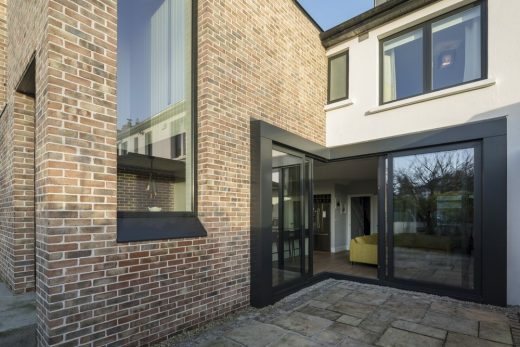 The use of brick externally and internally seeks to make the new structure as much a part of the garden as it is of house by blurring the threshold between house and garden/ Inside and outside, while also bringing warmth, and a sense of permanence and security to the new addition. 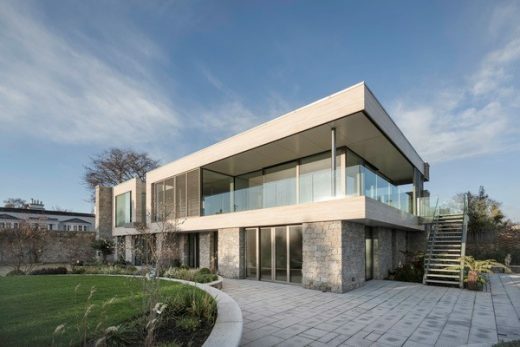 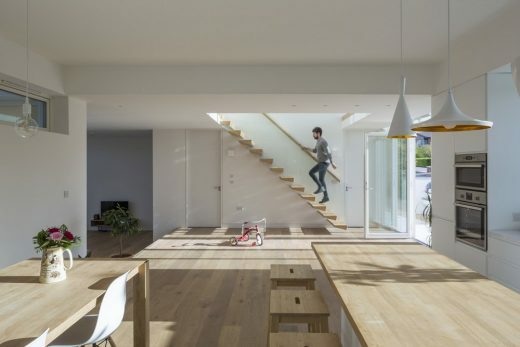 The south elevation has a double height window, drawing south light into the extended family space. 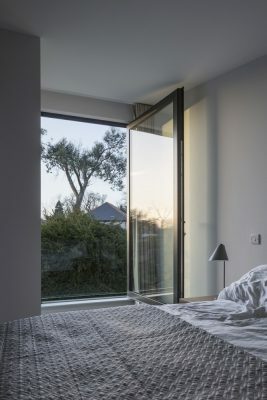 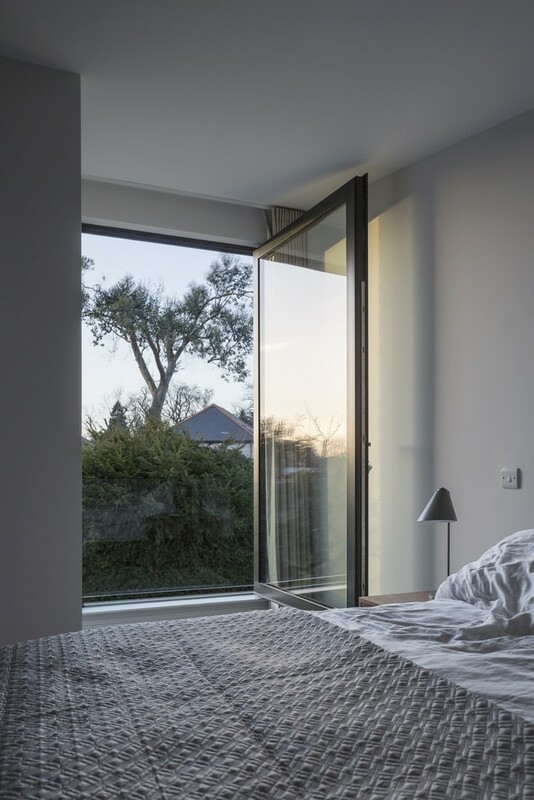 The garden façade has offset windows to create a ‘social façade’ between the master bedroom and west facing concrete bench.